CATH Manuel is ready for a day's work. She's donned a broadbrimmed hat, teamed up her denim shorts with an old checked shirt, picked up her bucket and digging fork and, with a smile from ear to ear, is heading towards the NoosaCare dementia facility at Tewantin, on the Sunshine Coast. A group of enthusiastic residents are eagerly awaiting her arrival and they too are ready for a morning in the garden. Cath has a warm relationship with the residents. She understands their need to feel a sense of belonging at the village and, particularly at this new stage of life, knows that many of them are familiar with the good feelings that come with spending time planting, tending and harvesting from their gardens. As a trained Horticultural Therapist, Cath looks to satisfy the person's inner needs through hands on activities that range from potting up, seed sowing, growing herbs and flowers, creating edible gardens, weeding, waters and making garden art. "Having access to a garden and gardening activities can help residents to form new friendships, have a special space to nurture and grow and also feel that they can contribute to the maintenance of their home," she told Seniors News. Gardens engage the senses for seniors: NoosaCare Horticultural Therapist Cath Manuel explains how gardens engage the senses and creates wellbeing for seniors. Credit Gail Forrer and Tracey Johnstone. On the practical side, the garden's harvest is used in many ways at the village; flowers decorate the rooms and vegetables and herbs are used to make nutritious meals. Cath also points out that plants have therapeutic qualities and are grown in a therapy garden so they can assist or stimulate the senses, provide opportunities to reminisce and provide lovely conversations. "Among those are lavender, rosemary, lemon balm, various basil, chives, parsley and many others," she said. "All have sensory qualities, for example lavender stimulates sight, scent, touch, smell and taste". NoosaCare Group Manager Sandra Gunner has nothing but praise for the gardening program. 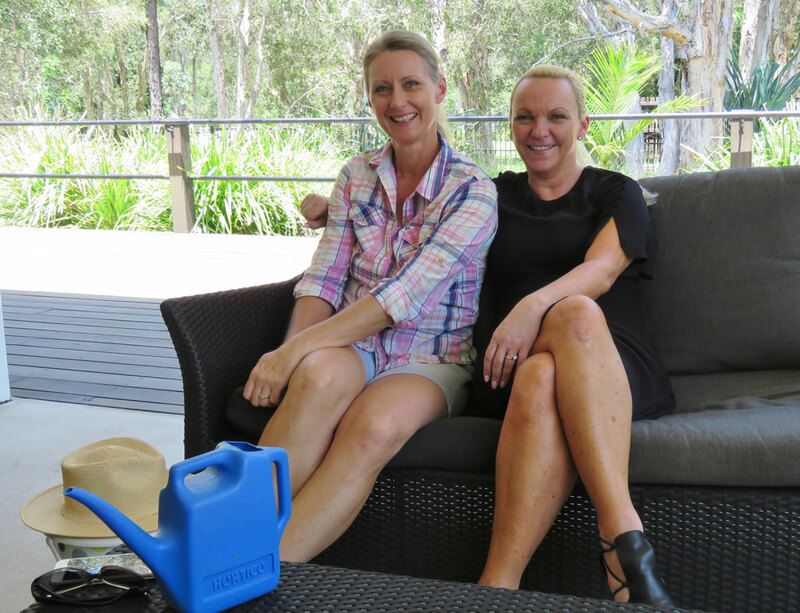 NoosaCare Group Manager Sandra Gunner (R) and Horticultural Therapist Cath Manuel (L). "The benefits of Cath's therapeutic gardening groups can be seen on the faces of our residents who attend her weekly sessions in our Memory Support Unit," Sandra said. "Living with dementia can make daily activities, challenging and frustrating, so it is beautiful to watch the group laughing and interacting together, reminiscing about gardens they have tended to in the past. "For many of them, the feel of the soil between their fingers has unlocked gardening skills that have remained hidden in recent years. "To have seedlings to care for and gardens to water has provided a purpose for them again." Horticultural therapy is a process of using plants and gardening activities to promote health and wellbeing of people's mind, body and spirit and is used in social, vocational and therapy programmes, providing outdoor activity and physical exercise in a supportive atmosphere. Additionally, horticultural therapy makes use of the passive qualities of nature to provide levels of sensory stimulus and impact that help towards achieving positive outcomes. It has been used for centuries to improve the health and wellbeing of people's bodies, minds and spirit. It's highly beneficial for people living in aged care, especially for residents with dementia, also assists with the recovery from stroke, heart attack and other illnesses and is of great benefit for people with disability and mental health problems.